Jessi Mason, a senior in USC Thornton’s Popular Music program, is the recipient of the 2018 ASCAP Foundation Molly Hymen Music Scholarship. The annual scholarship benefits an outstanding undergraduate of the school’s Division of Contemporary Music who is also undertaking Music Industry classes. 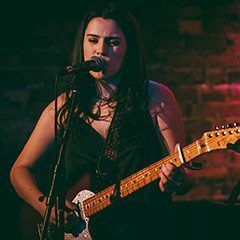 Mason recently released her second EP, Night Owl, which received a nomination for the Independent Music Awards.